Antonio Jaso Aguilar—a 28-year-old man who was listed on the Texas 10 Most Wanted Fugitives list—was fatally shot by officers in a gun battle following a 24-hour standoff. Aguilar was shot by law enforcement after he fired at them on Sunday afternoon. 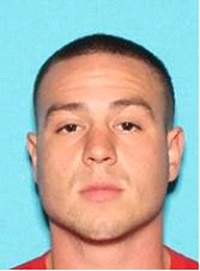 According to MyArkLaMiss.com, Aguilar was wanted for attempted Capital Murder, after firing at a Department of Public Safety trooper following a traffic stop on Wednesday. No law enforcement officers were injured during this incident.